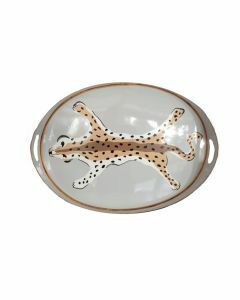 This cream decorative service tray features a hand painted tole leopard design that is sure to wow your guests. 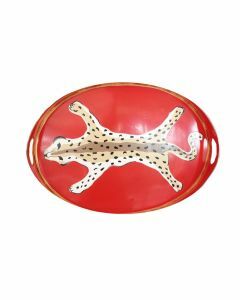 The tray measures 20‚Äù by 14‚Äù by 2.5‚ÄùH and includes hand holds. 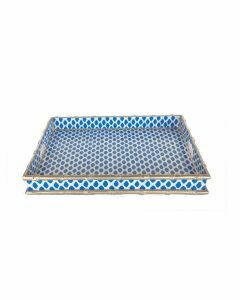 Click on image for greater detail.